When players level up, they will be rewarded with a loot box that contains randomized cosmetic items. Premiering January 10th, Overwatch League will soon take eSports' center stage. While the world of eSports is home to a huge amount of action and excitement, you could be forgiven for thinking that the industry fundamentally revolves around its three biggest hitters – Dota 2, League of Legends and Counter-Strike: Global Offensive. Undoubtedly the most lucrative titles in professional gaming, competitions based around the trio often involve players competing for vast multimillion-dollar sums which put them on a completely different level to many other games. However, while such games have played an important part in the growth of eSports, there are signs that newer titles are emerging which could rival them in terms of both prize money and the top-class action on offer. In fact, when it comes to discussions about which game will be the next big thing in eSports, it is hard at present to look beyond Overwatch. Named New eSports Game of the Year at the eSports Industry Awards 2016, the first-person shooter from Blizzard has become a real phenomenon since its launch. The game is now thought to have reached more than 35 million players in less than two years, while it has even spawned a fully-fledged pop culture icon in Tracer too. If a recent trailer is to be believed, the character is even set to take her place alongside the likes of Lara Croft and Harley Quinn in Steven Spielberg's forthcoming virtual reality blockbuster Ready Player One. It is not just that cameo appearance that Overwatch fans have to look forward to this year though. In a recent New Year message, game director Jeff Kaplan not only talked about a range of new maps which are in development but also revealed that a new hero is also set to be added to its line-up of characters soon. He revealed the company is "well along the path" to creating Hero 27 and that it was already in internal testing. However, undoubtedly the biggest development in the world of Overwatch in 2018 is the launch of the eagerly anticipated Overwatch League – a game-changing competition which will surely be one which eSports fans will be following when at bets.io or other sites specialising in eSports betting. First announced in November 2016 at BlizzCon, the competition brings a whole new format to professional gaming as it is the first major global tournament which revolves around city-based teams. Featuring no promotion or relegation element at all, the 12 team franchises involved – nine from the US, one each from England, South Korea and China – will be permanent members of the competition. Players in each of the team also receive a $50,000 minimum base salary, accommodation and healthcare and pensions support during the season. How will it be structured? But what about the structure of the competition? The teams are set to be split, with the West Coast and Asian sides forming the Pacific division and the East Coast and Europe competitors featuring in an Atlantic division. Preseason exhibition matches were held in December but the real action gets underway in the Regular Season from this month, with fixtures being played at the Blizzard Arena in Los Angeles. The season will be divided into four stages and on the final Saturday of each one the top teams will compete for bonuses and to be named the stage winner. The teams' full-season records will then be used to determine their seeding in the Postseason, where the best sides in each division will then take part in play-offs held across July. The winning side will then be named overall Overwatch League champions and scoop an impressive $1 million bonus in the process. Finally, the action will then wrap up with an All-Star Weekend held in August, where the season's top performers will come together one more time for a range of challenges described by Blizzard as "unexpected". So which teams can we expect to perform well in the upcoming competition? It is still very hard to say, but the Preseason results did provide some potential clues. 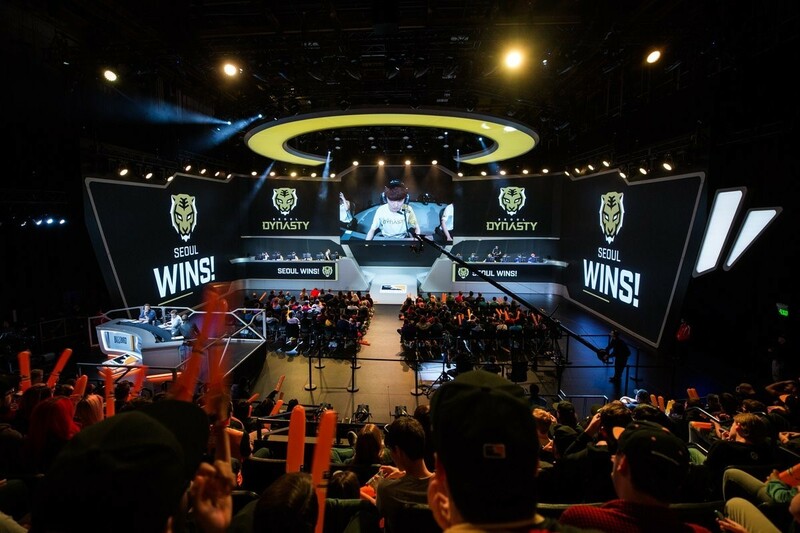 Seoul Dynasty won all three of the matches they participated in, while both Dallas Fuel and Los Angeles Valiant finished with a 2-0 record. However, with the matches purely being exhibitions it is perhaps best not to read too much into the results, particularly considering Philadelphia Fusion was also absent from the event due to unspecified "player logistics issues". The launch of the Overwatch League is undoubtedly a big moment for the game and its standing in eSports in general. By going against the usual formula of professional gaming competitions in favour of something more related to traditional US sports, Blizzard is marking the Overwatch League out from its rivals in a big way. Will the competition help Overwatch to become one of the biggest names in the world of eSports? We look forward to finding out very soon. James, a lifelong gamer, is a freelance writer who occasionally contributes to Ten Ton Hammer.